I would like to hike trails in various park locations throughout the US ( mostly Tampa area, FL). I can find the addresses online and usually a general map of the trails. Many of these trails are miles long, however, and marked with numbered posts along the way. None of this has GPS coordinate info. Often, the paths will cross each other with limited marking. Can Expert GPS help with this? If I input an address ( a state park ), would the map zoom in enough to show trails and would can you set waypoints along the trails with the coordinates? To what extent can this be downloaded to the GPS? You can use the Scanned Maps feature in ExpertGPS to display a scanned paper trail map, or a digital copy of the Tampa-area trail map. 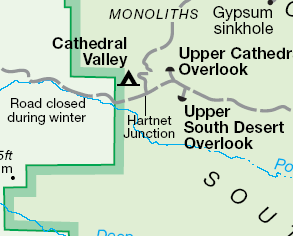 Many state and federal parks have maps available in PDF format. Adobe’s Acrobat Reader will allow you to select the entire map image, copy it to a bitmap, and paste it into your favorite image editing program. You can then save it in PNG or JPEG format for use in ExpertGPS. Once you’ve scanned or downloaded your trail map, the next step is to calibrate your scanned map so that ExpertGPS can calculate the GPS coordinates of every pixel in the scanned map image. After your map is properly calibrated (geo-referenced), you can then trace trails right over the map, or click to add waypoints at trail intersections. One of my favorite mountain biking locations has dozens of overlapping trails, and we would often get confused as to exactly which intersection we were at. I scanned the trail map, brought it into ExpertGPS, and traced every trail and labelled every intersection. Before each ride, we’d download this data to our Garmin eTrex GPS receivers, and mount them on our handlebars. Now we always knew exactly where we were. Once we established a favorite route, we used ExpertGPS to string the waypoints at each intersection together to create a turn-by-turn route. Now the GPS could tell us how far until the next turn, and which way to go at each intersection.